This mode represents the time taken for a single echo to return to the transducer –represented by a by a blip on the screen. The distance the sound travels is twice the depth of the echo structure so that the depth can be calculated from the propagation velocity. This is the principle first used in SONAR. Multiple transducers send and receive echoes in one plane to build a 2D image based on time and echo strength. The strength of the returning echo is represented by brightness (B) of the displayed image and depth of reflection by the time delay. Multiple A mode images are created and represented over time creating a map demonstrating movement (M) of reflectors with time. The upper part of the screen below shows the structure being imaged in 2D. A cursor is placed along one part of this image and the relative movement of the component structures is shown against time in the lower part of the screen. 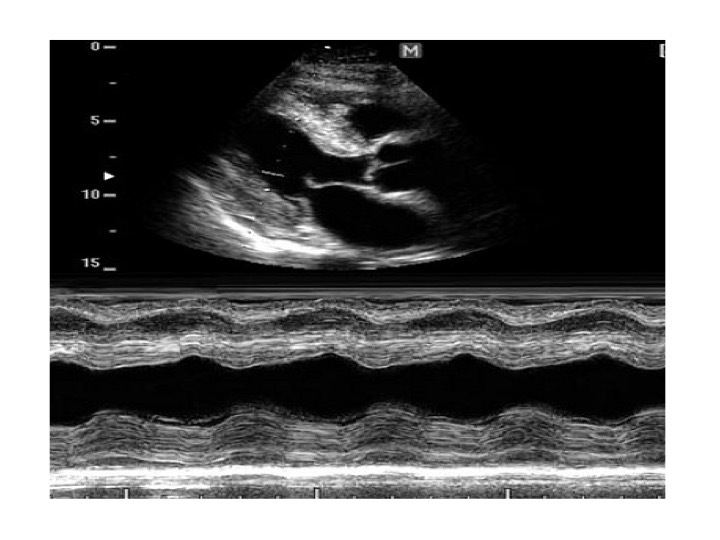 In the image below the Left ventricular walls are shown allowing systolic and diastolic dimensions to be measured. The Doppler effect is a frequency shift caused by relative movement between a sound source and sound receiver. If the two move together the frequency increases and if they move apart the frequency decreases. 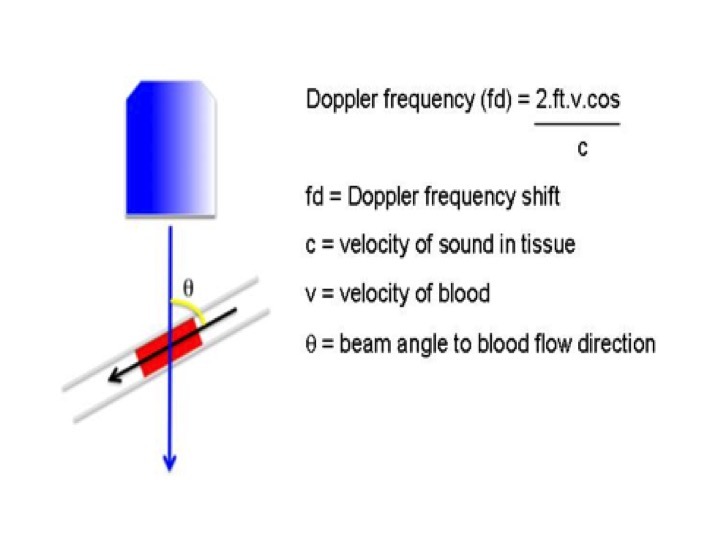 Colour Flow Doppler (CFD) converts the frequency shift to velocity, which displayed on a colour scale. 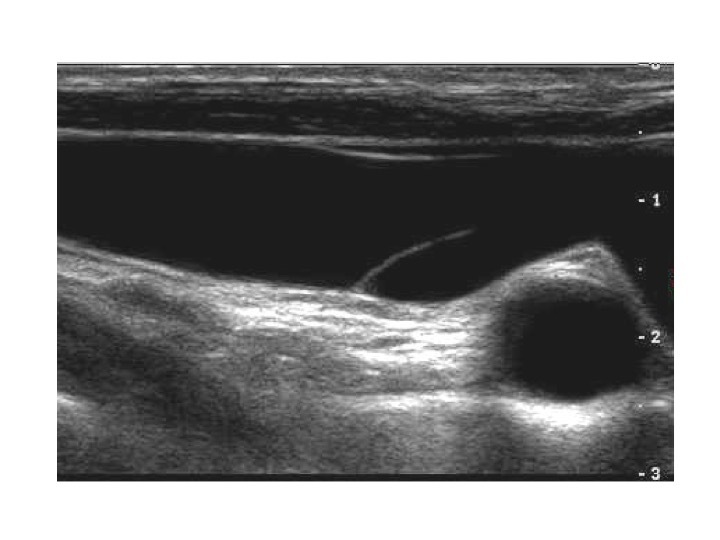 Interrogation of an area around the nerve is important to reduce the possibility of inadvertent vessel penetration and intravascular injection. 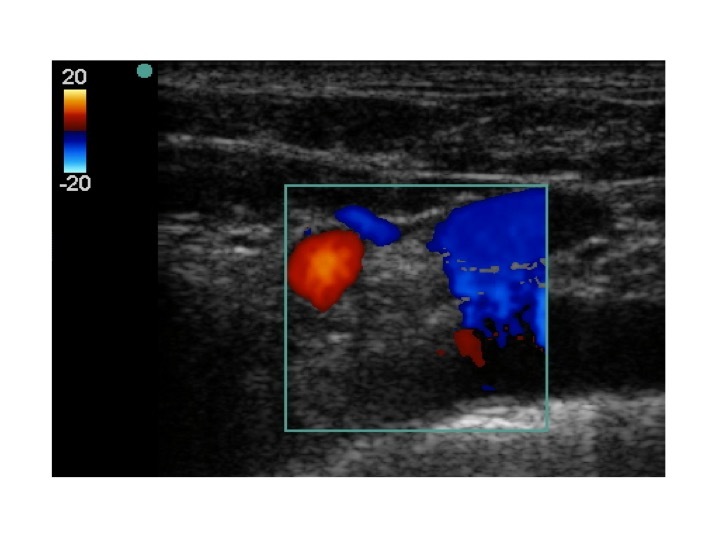 This is particularly important in the axilla and supraclavicular regions. velocity scale (top left). No colour on 2D image outside the box. Figure 6. 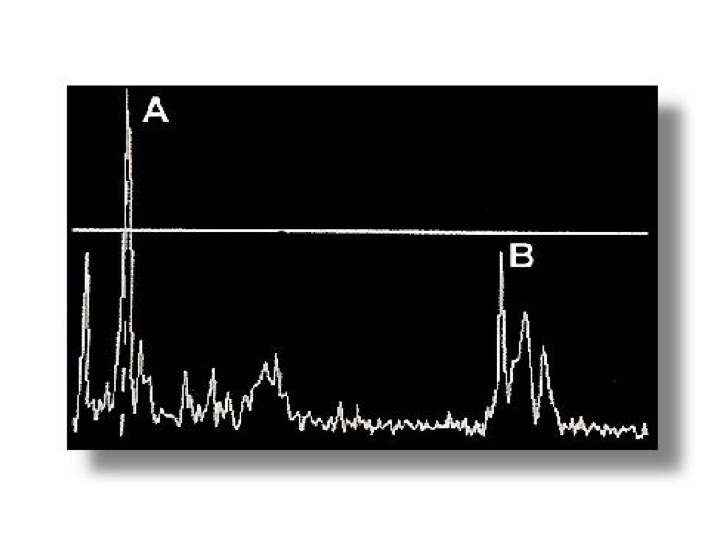 Continuous Wave Doppler. All velocities along the cursor line are shown on a scalewith time on the x axis. The ECG is displayed for timing with the cardiac cycle. 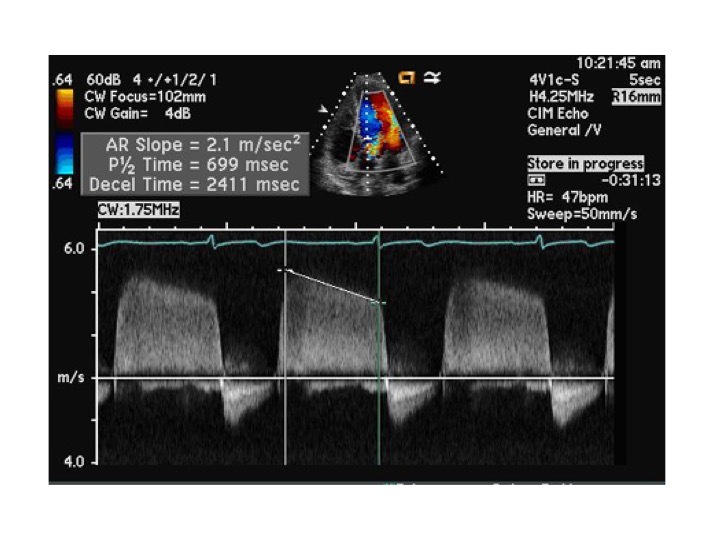 Pulsed wave Doppler – Samples the velocities of a small area defined on a 2D image. A box is placed over the area of interest on the cursor line. 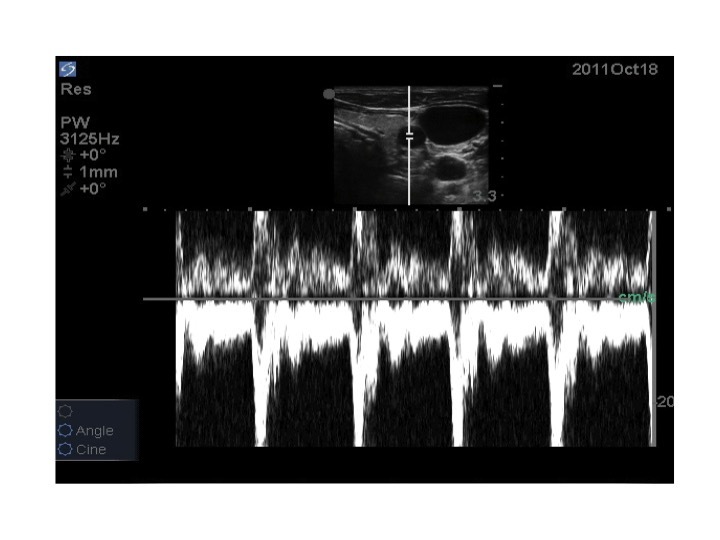 The ultrasound machine then only looks at the echoes returning from this small gate by measurement of the returning frequency after time delay based on the depth of target.